Thailand has managed to keep its charm while other countries have given it up to match the west’s idea of efficiency. Japan and China are forgetting their heritage and culture. Here in Thailand, they have a King who is beloved by his people and a culture that stretch back thousands of years. The people are gentle and hospitable. Their religion is predominantly Buddhist and with Muslim and Christianity living side by side in harmony. Perhaps Thailand has found the secret that the rest of the world has yet to learn. 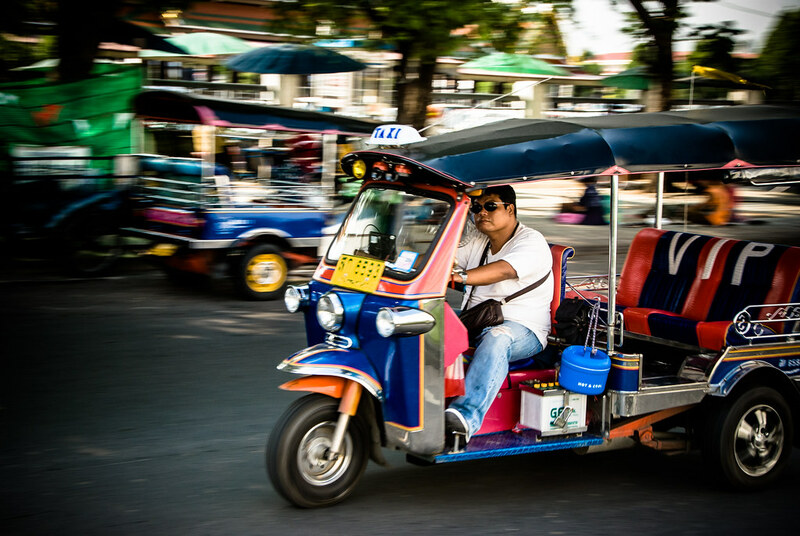 Today you will see 10 things that set Thailand apart from the rest of the world. These 10 are just a few of the reasons you should travel to Thailand and visit this paradise on earth. One that was immortalized by Yul Brenner in the movie “Anna and the King” and the play “The King and I” of which he played until he died buried by his leading lady and wife. Once a key city on the route between China and the gulf of Burma and the sea this trading city has all the splendor still of one of the jewels of ancient trade. Here at the night market, you can find anything you’ve dreamed about in the annals of Aladdin and the Arabian nights. In addition, many things you couldn’t possibly have imagined as well. The prices are reasonable and it’s a lot of fun mingling with the locals as well. The temple is one of the most beautiful examples of Asian art in the world. Wat Pho as it is called in Thai is a magnificent temple complex and a 150-foot image of Buddha clad in gold. For centuries, travelers have marveled at this statue and the wealth that Thailand put into their religious edifices. Be prepared to spend a couple of hours here and make sure you take many pictures, as no one at home will believe it if you try to explain what you’ve seen with words alone. Thai food is famous the world over for it fiery spices, exotic colors, and aromas that tempt the taste buds of all those who have caught its fragrance on the wind. 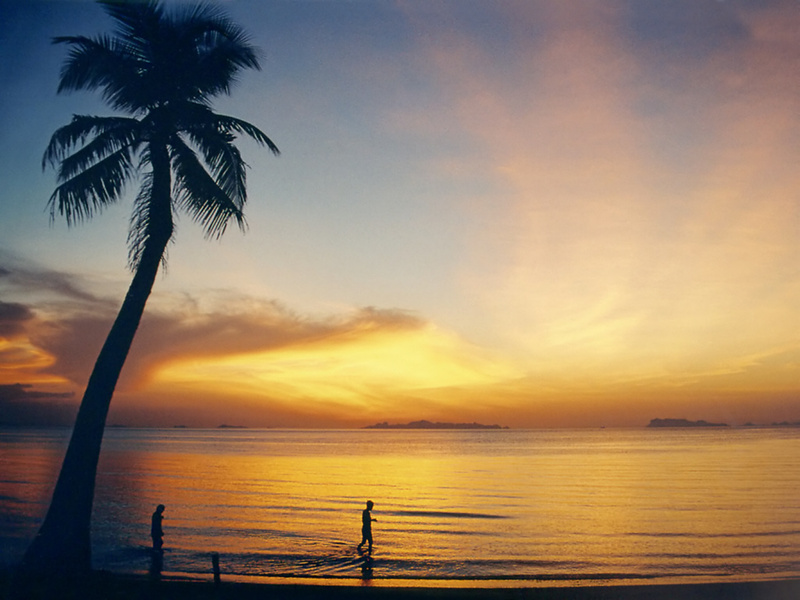 In the city of Ko Samui, you can experience a feast fit for the luxurious. Even Anna could dream of the sights, flavors, and the sound of happy people as you partake of this fantastic taste treat opportunity. Food, pageantry, and costuming that make you believe you are visiting royalty as you are treated like a king/queen with some of the finest food creations in all Thailand. Here you can find it if it exists. This market is one of the largest in the world and 1 weekend may not be enough to see all that there is here for your shopping pleasure. 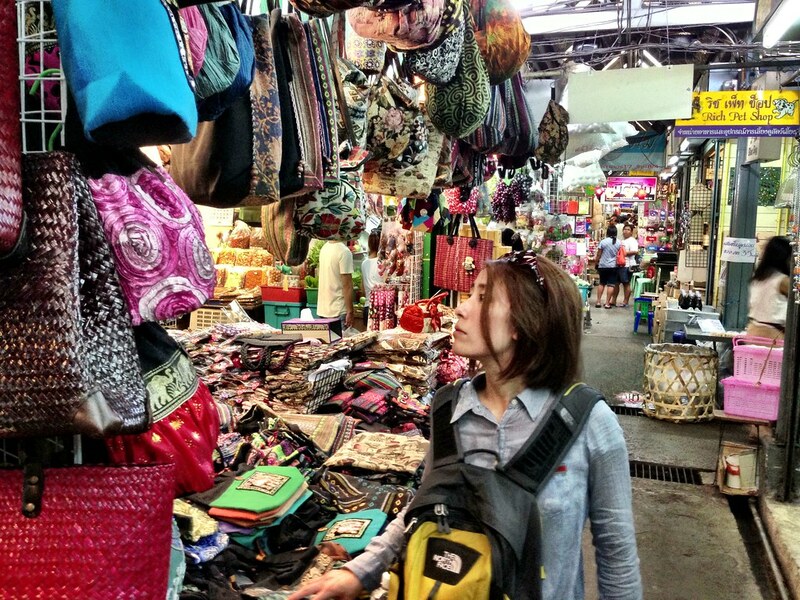 Food stalls, fashion, and antiques are here in a plethora of styles both western and Thai. ATMs are available and there is even an office of tourism to help you find what you need. Here in Chatuchak, everything revolves around this market and the money it generates for the area. Don’t be surprised at anything you see. Elephants and camels have been known to drop by carrying goods from far off places. However, the motorcycle now seems to be the fastest way to move goods about. If the vendor you are talking to doesn’t have exactly what you want. Wait a few minutes and a motorcycle will hand-deliver it for your inspection. Here the customer is king and anything under the sun is here for your shopping pleasure. Former residence of the Monarch it features the Emerald Buddha and is considered by most as the most spectacular attraction in Bangkok. Over 94 hectares in area, it has more gold per square inch than Fort Knox. Built in 1782 its consecration coincided with the formation of the nation. For over 200 years, it has been a site of veneration to the millions of Buddhists in Thailand and the rest of Asia as well. Once you step inside the portals here, you are living in a different world. One where Great Kings met and talked of weighty matters and Thailand was the center of Southeast Asia. Ayutthaya, once the capital of Siam is now a thriving metropolis and home to some of the most beautiful examples of religious art in the world. Here time stands still as you gaze on monuments that predate America by a thousand years. Sculptures and temples still stand that reflect the glory of the Thai people and the mighty empire that was ruled from here. A day cruise by water from Bangkok is all it takes to let you slip back into an age undreamed of today. Then Empires were forged and mighty men and women walked the earth. Their legacy is here for all to experience and enjoy. 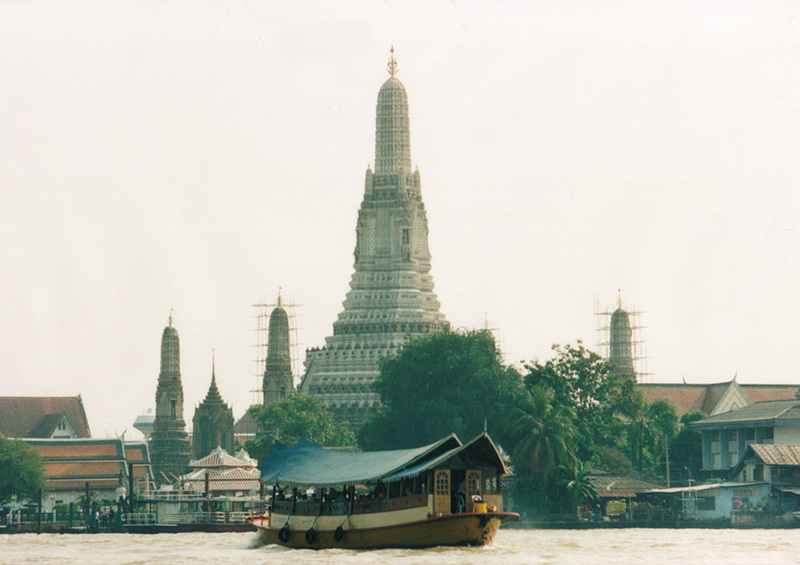 Bangkok features some of the most magnificent temples in the world and what better way to experience this skyline but by boat and that’s what you can do on the Chao Phraya River. Not only do you get to cruise this ancient waterway that links Bangkok with the rest of the country. But, you get to experience Thai Cuisine at its best. For up to 5 hours you get to marvel at some of the most beautiful structures on earth and you see two of the finest up close and personal. The Temple of Dawn, which is lit after dark and gleams like a golden beacon in the night. The other is “The Grand Palace.” All the while, you will be tempted by fabulous Thai dishes and entertainment that only the Thai know how to provide. A day journey from Bangkok you get to meet the fabled Thai Elephant, long a symbol to the Thai people. Here not only do you meet them but also you can even ride like a sultan or Asian potentate. You also can tour scenic rice patties in an Ox drawn cart. Here you can experience a quieter life that the Thai farmers have known for centuries. This is far different from the hustle and bustle of New York, Chicago, and LA. You might even want to make the switch and retire here instead of Florida or the Bahamas. Here you can spend the day walking and eating fruit that grows within arm’s reach. You’ve seen the food on TV and in restaurants. But, why not come to Thailand and learn how to cook the Thai way from the experts in Thai cuisine. You can do just that with a Cooking Tour package. You have a wide selection to choose from. You have everything from Restaurant Style Cooking at the BaiPai Thai Cooking School in Bangkok. From there you can learn to cook Thai Street Food in a local market. For the truly adventurous, you can enter the home of one of the best home chefs in the country and learn how to prepare home specialties you’ll never see in any restaurant. The cooking schools in Bangkok are the best in the world and with the likes of Chef LeeZ, Silom, and Sompong Thai Cooking schools the world of Thai food is opened up for you to experience, master, and then do for yourself, family, and friends. Who knows maybe you’ll open your own restaurant in LA or Chicago. This is the crème Del la crème of Thai experiences. You can get a tailor-made tour that shows and takes you just want you to go and what you want to see. You have a guide who is knowledgeable on the Thai customs and everything you will want to see in Bangkok or elsewhere. Walking tours, bus, or even by Tuk Tuk (The Thai open air taxi) are all waiting here for you. See the markets in a way those large commercial tours just gloss over. Spend the time you want to enjoy a particular favorite place you’ve discovered without the feeling you are being rushed about according to a mindless schedule that you have to adhere to. Thailand is an open book for your enjoyment and what better way to read that book than with a private tour of its wonders. Here you can frolic with Elephants see tigers and barking deer. You can eat fiery foods that would curl your parent’s hair and shop for Asian treasures in bazaars. You can even find your future retirement home if you like. As you can see there are many things to do in Thailand. It’s all here in Thailand and it is waiting for you guys.